Authorities in Burkina Faso have charged a general who led a failed coup in September with complicity in the 1987 assassination of President Thomas Sankara, senior security sources have told the Reuters news agency. “General Gilbert Diendere is formally charged in the Thomas Sankara case,” a senior security source with direct knowledge of the case told Reuters, adding Diendere had been charged last month. Mathieu Some, Diendere’s lawyer, told Reuters on Sunday that his client had been charged over Sankara’s death and he would prepare his legal defence. The charges are yet to be made public. Ten others, less senior than Diendere, have already been charged, Reuters reported. 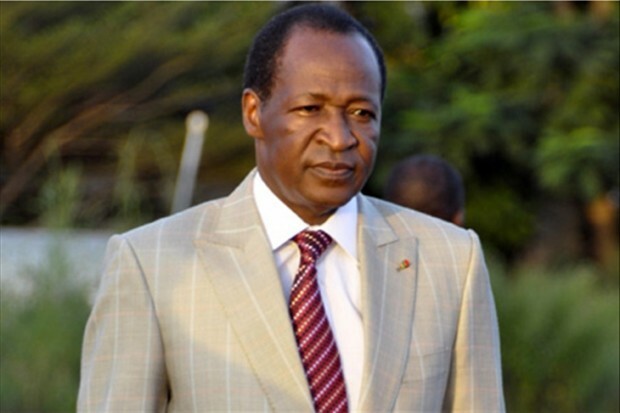 The senior security official said most were soldiers in the elite presidential guard of former President Blaise Compaore, who was ousted in October 2014. Interesting to see this coming through now, a few weeks only after Diendere’s failed coup attempt. No doubt Compaore also played a key role in the October 1987 events, but we’ll leave this to the Burkinabe justice to have the final say. This documentary portrays the revolution driven by Thomas Sankara, former President of Burkina Faso. From 1983 to 1987, Sankara fought for the political independence of the country, its debt , but also the education of young people, women’s emancipation and the eradication of corruption. This intransigent policy and the escapades of the young , beautiful and brilliant leader make the world tremble powerful and ends in 1987 , the year of his assassination . For over 25 years , Christophe Cupelin tirelessly collecting written records , audio and audiovisual and managed through a meticulous assembly to paint a portrait of this outstanding revolutionary icon. I have not got to see the movie yet, as the distribution is limited. But I will keep you posted as it becomes available on VOD. Blaise Compaoré left Burkina Faso after 27 years in power following an uprising. No glory, no honor. His thirst for power, his inability to develop Burkina Faso, and his tendencies to get involved in other countries’ politics (Liberia, Cote d’Ivoire and many others) finally caught up with Beau Blaise. As said by Thomas Sankara, “while revolutionaries as individuals can be murdered, you cannot kill ideas”. Al Jazeera published “Burkina Faso: Ghost of ‘Africa’s Che Guevara“, and draws links between the teachings from the defunct leader, and the situation in Ouagadougou over the past few days. Many of the protesters say the history of the slain 1980s leader partly inspired them to rise against Blaise Compaoré, who has been in power for 27 years and was trying, by a vote in parliament, for another five. Though some see Sankara as an autocrat who came to office by the power of the gun, and who ignored basic human rights in pursuit of his ideals, in recent years he has been cited as a revolutionary inspiration not only in Burkina Faso but in other countries across Africa. The situation is still not clear, as the “coup within the coup” from Presidential Guard commander Lieutenant Colonel Isaac Zida has been met with negative feedback both from the Burkinabè and the International community. The next few weeks will be critical, as whoever is in power will have to deal with an escalation in violence from the protesters and Compaoré’s loyalists, notwithstanding the previous regional threats such as Ebola and terrorism. The concept of endogenous or self-centred development refers to the process of economic, social, cultural, scientific and political transformation, based on the mobilisation of internal social forces and resources and using the accumulated knowledge and experiences of the people of a country. It also allows citizens to be active agents in the transformation of their society instead of remaining spectators outside of a political system inspired by foreign models. These principles formed the foundation of the policies implemented by Sankara and his comrades between 1983 and 1987. Read the full article from Demba Moussa Dembélé here.